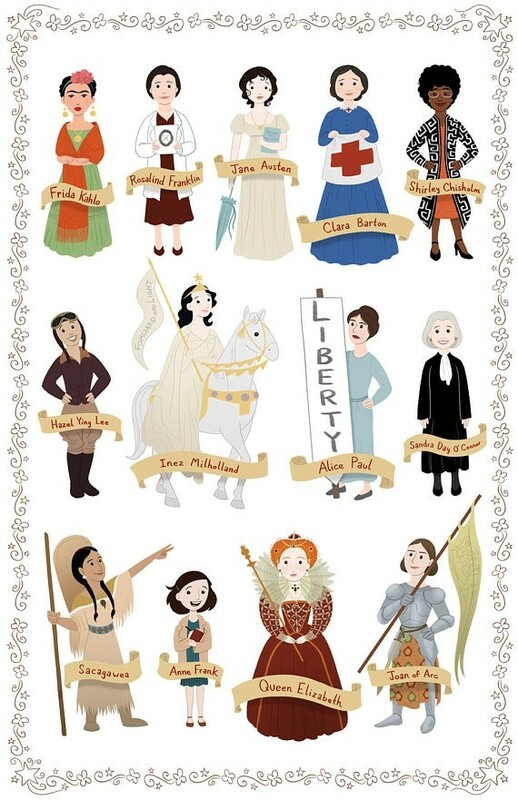 Fans of the Women in History posters from Catherine and Sarah Satrun of the Satrun Twins' Art Shop will love this 3-pack featuring all three of the prints from this series! Each 11 by 17 inch poster is printed on glossy, high-quality paper and is signed by the artists. 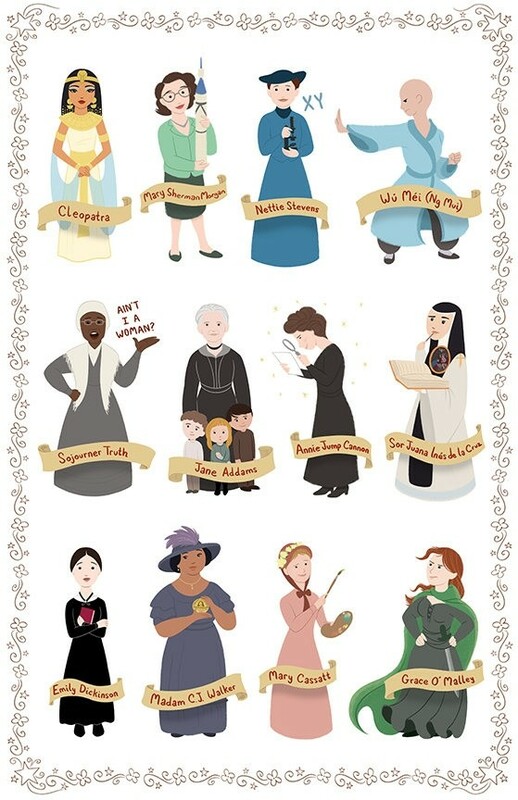 Poster 1 features Dorothy Hodgkin, Florence Nightingale, Susan B. Anthony, Mother Teresa, Rosa Parks, Helen Keller, Sally Ride, Millicent Fawcett, Marie Curie, Harriet Tubman, Margaret Fuller, Eleanor Roosevelt, Maya Angelou, and Amelia Earhart. 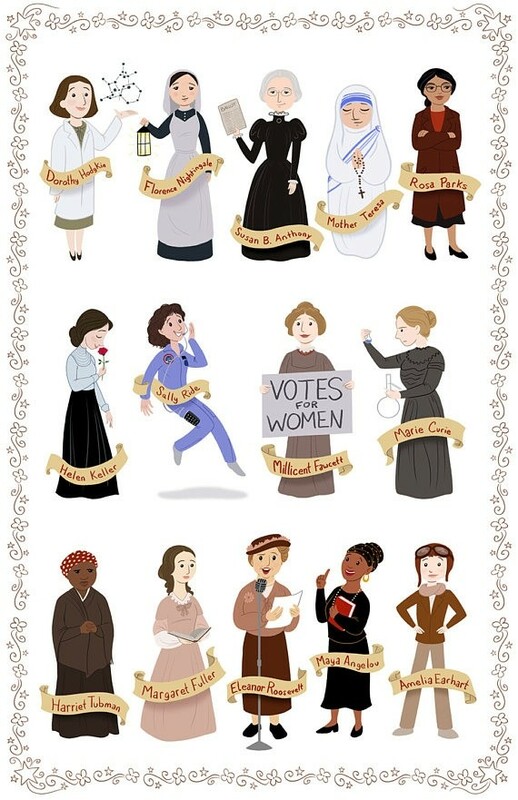 Poster 2 features Frida Kahlo, Rosalind Franklin, Jane Austen, Clara Barton, Shirley Chisholm, Hazel Ying Lee, Inez Milholland, Alice Paul, Sandra Day O'Connor, Sacagawea, Anne Frank, Queen Elizabeth, and Joan of Arc. 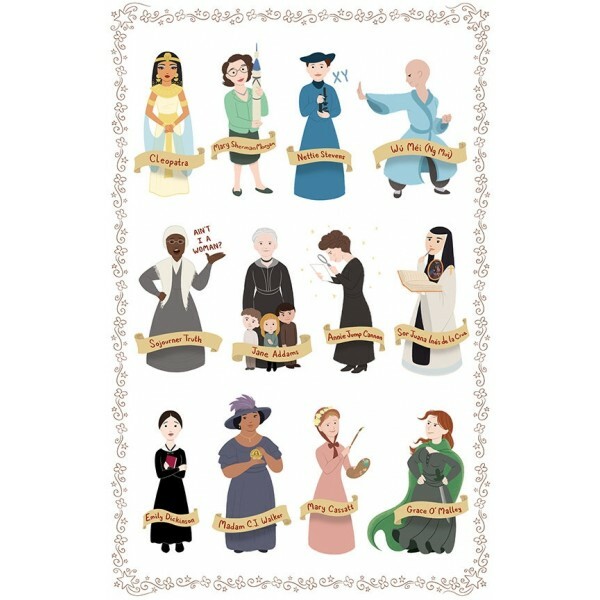 Poster 3 features Cleopatra, Mary Sherman Morgan, Nettie Stevens, Wǔ Méi, Sojourner Truth, Jane Addams, Annie Jump Cannon, Sor Juana Inés de la Cruz, Emily Dickinson, Madam C. J. Walker, Mary Cassatt, and Grace O'Malley.